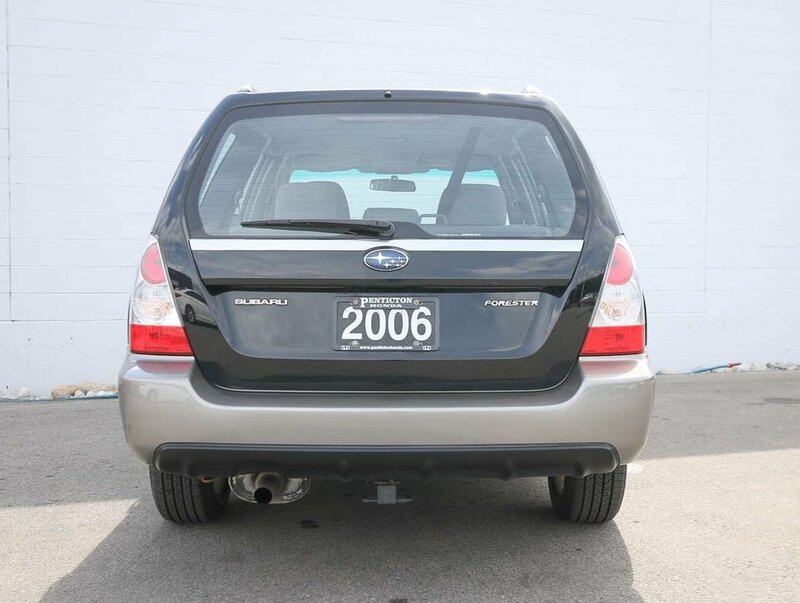 This 2006 Subaru Forester was recently traded in by it's previous owner for a 2019 CR-V. 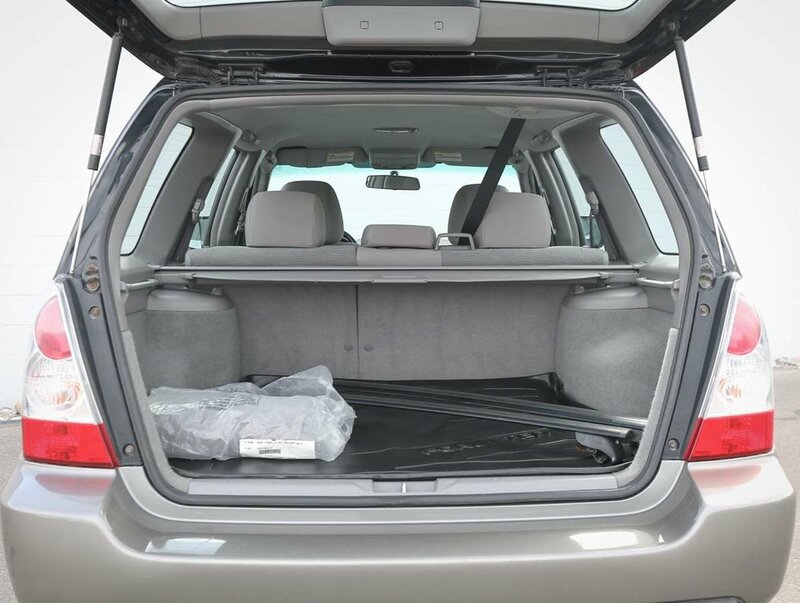 The Obsidian Black Pearl exterior shows very little wear, and is complimented nicely with a grey cloth interior that looks excellent given the year of the Forester. 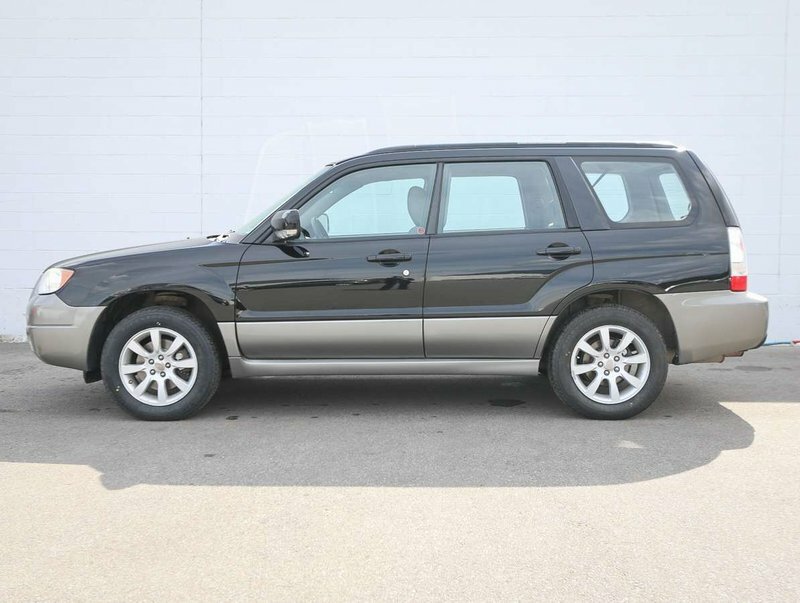 The Forester has been well card for, made evident by the condition of the Obsidian Black Pearl exterior that is paired with a grey interior that shows very little wear, and still looks excellent given the year of the Forester. 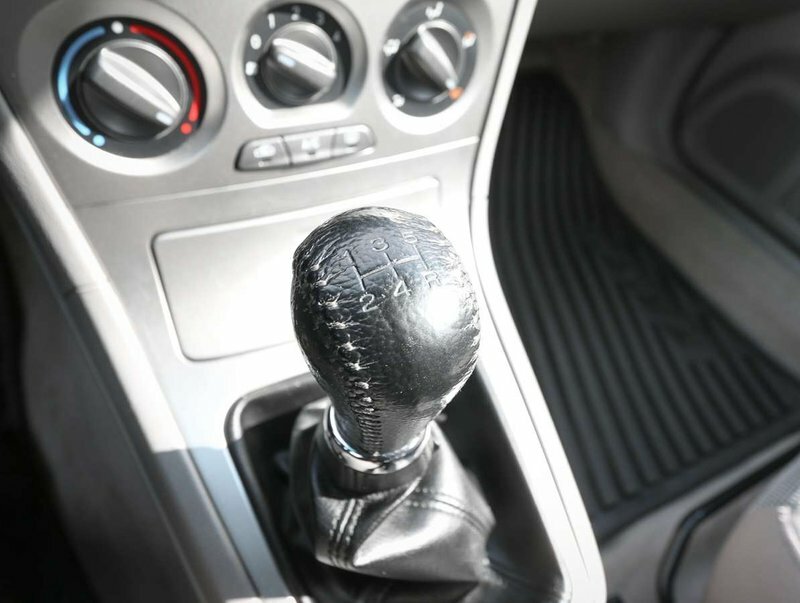 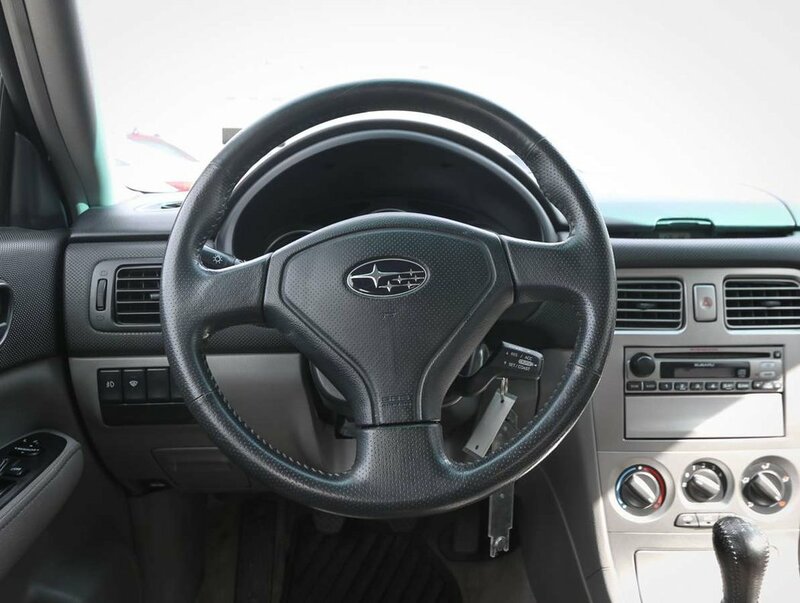 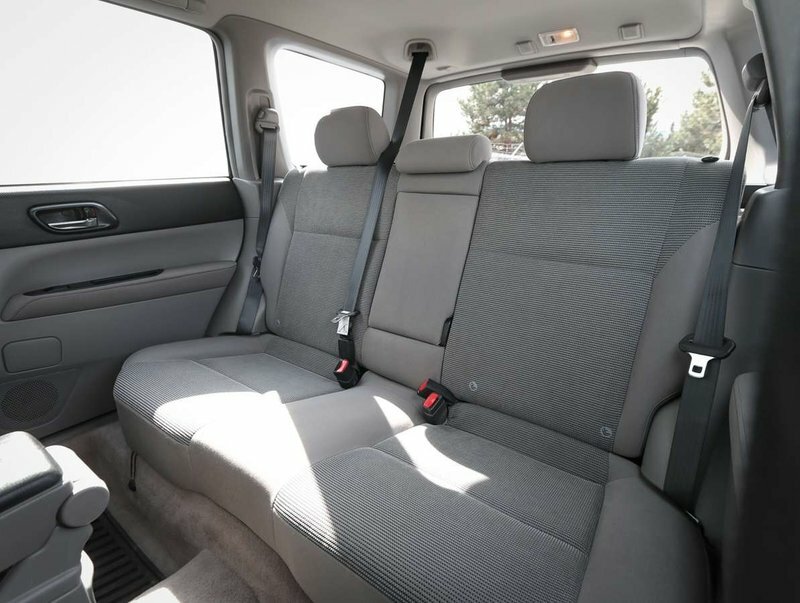 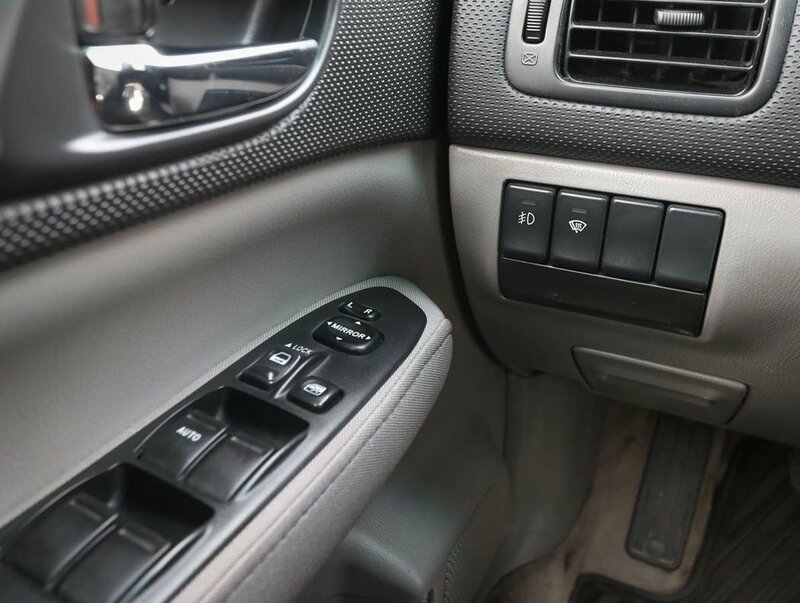 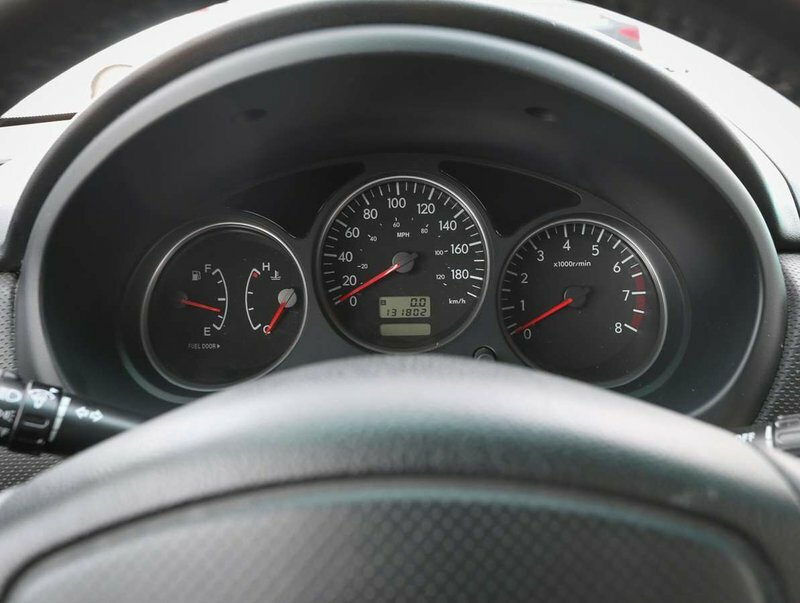 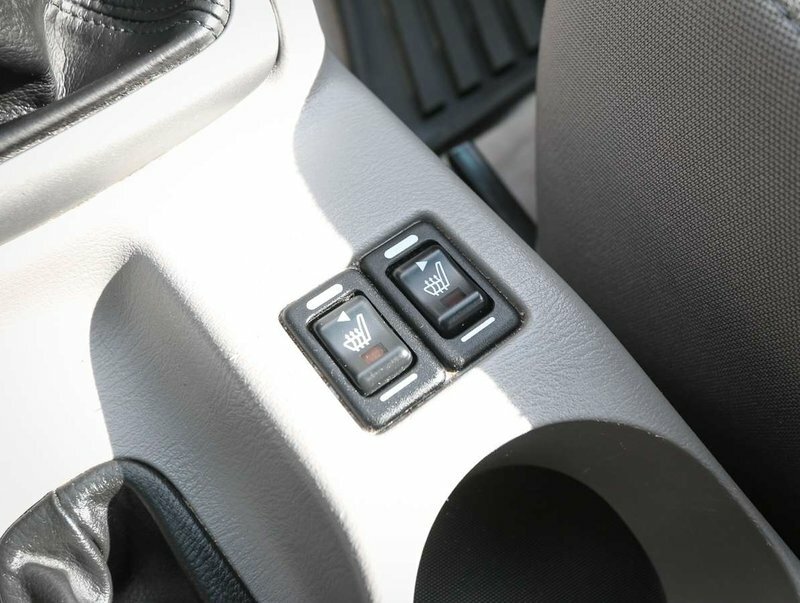 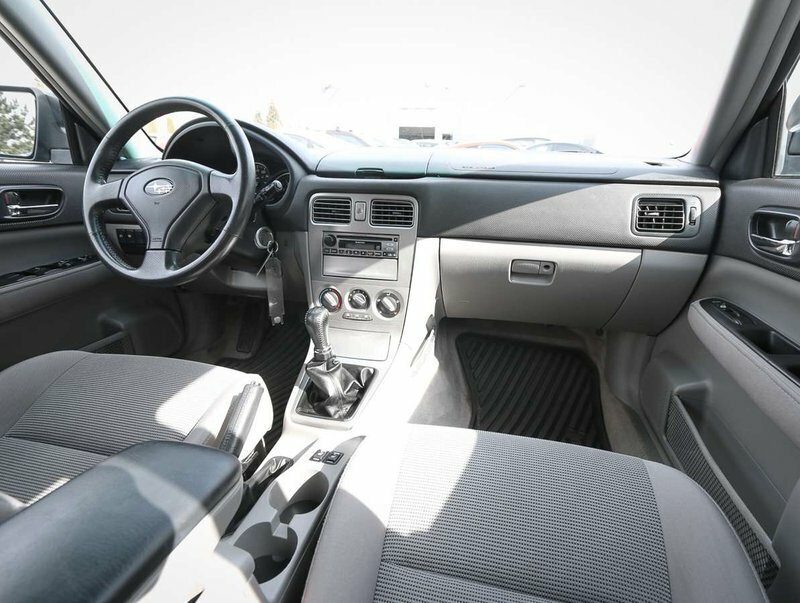 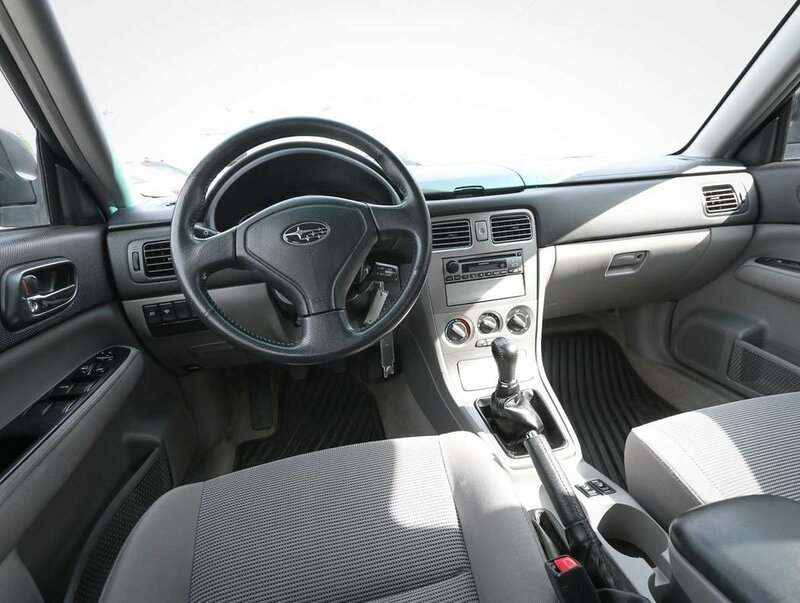 The manual transmission in this Forester shifts nicely, and the interior is comfortable in both the front, and the rear. 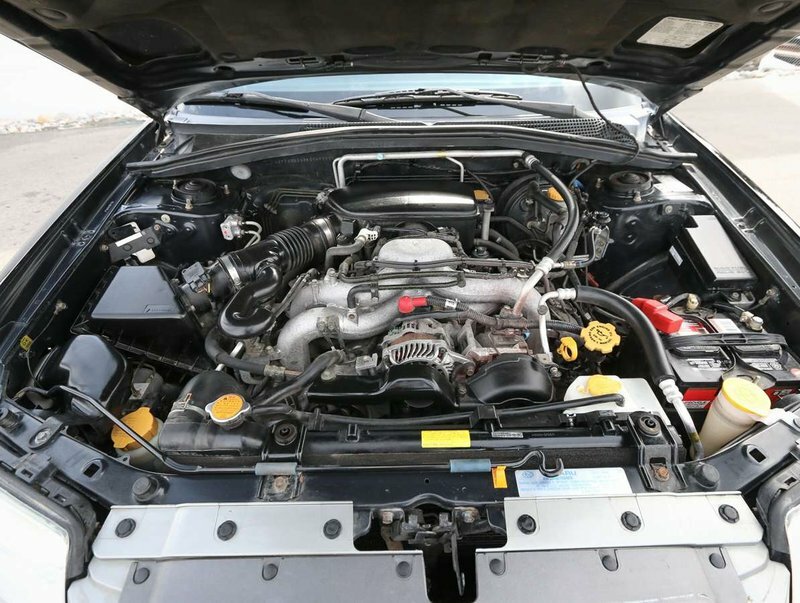 Powered by a 2.5L 4 cylinder engine that can get up to 29MPG. 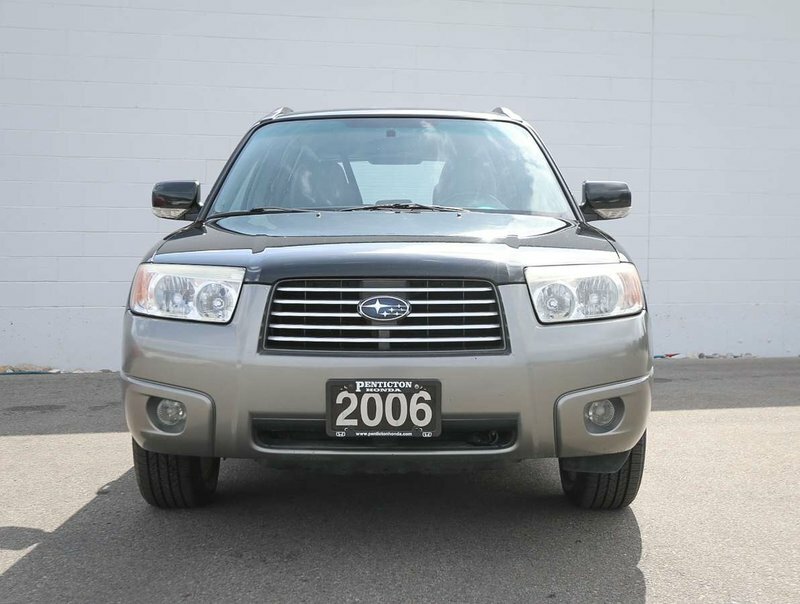 Purchased originally in 2006 for around $24,000 MSRP. 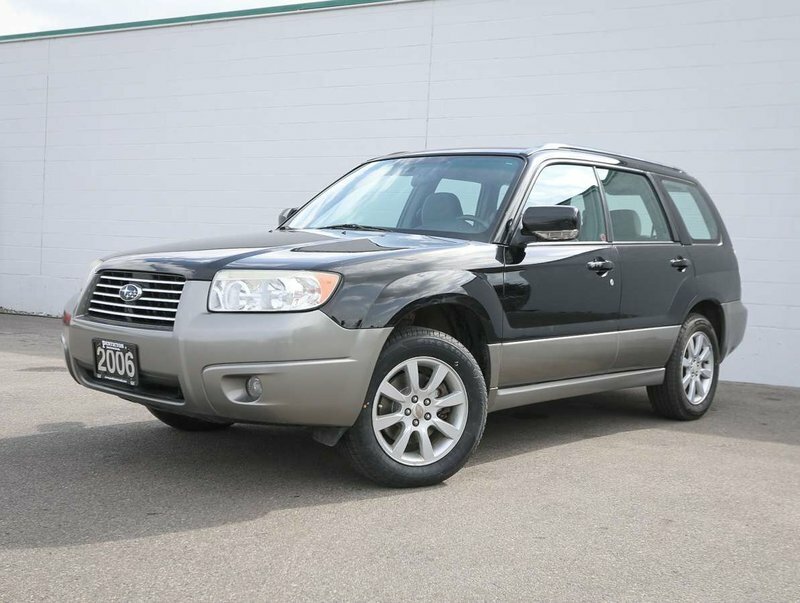 Forester Comes with 2 keys, and 2 fobs, as well as with all original owner's manuals. 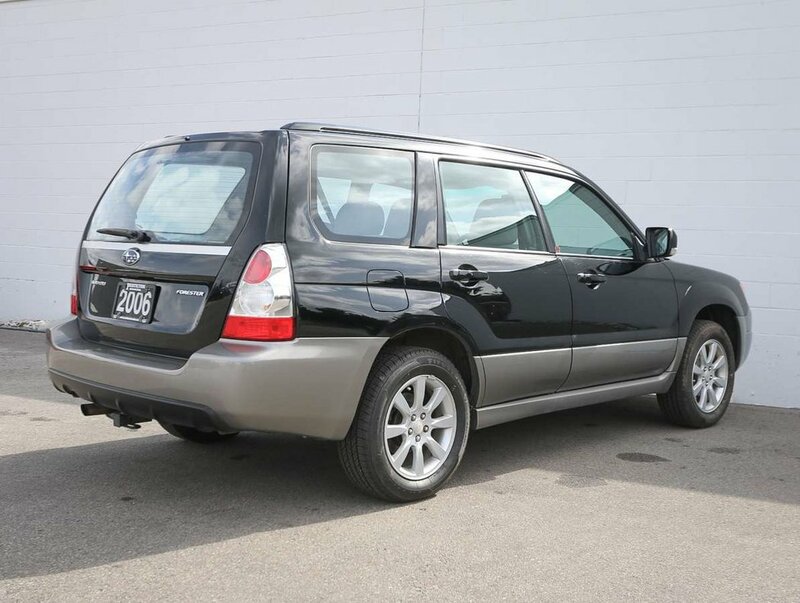 For peace of mind, we put the Forester through a multi-point, comprehensive used vehicle safety inspection. 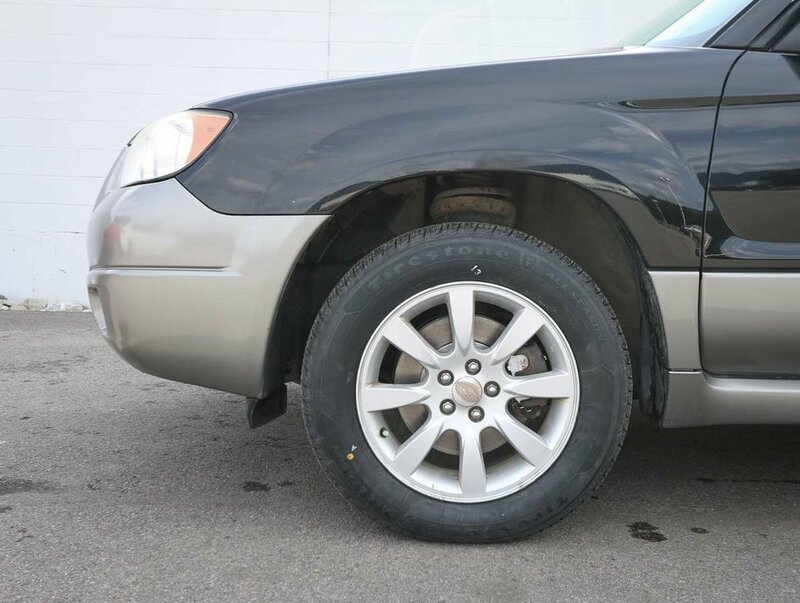 During that inspection the oil/filter were changed, the brakes were serviced, and a brand new set of tires was installed. 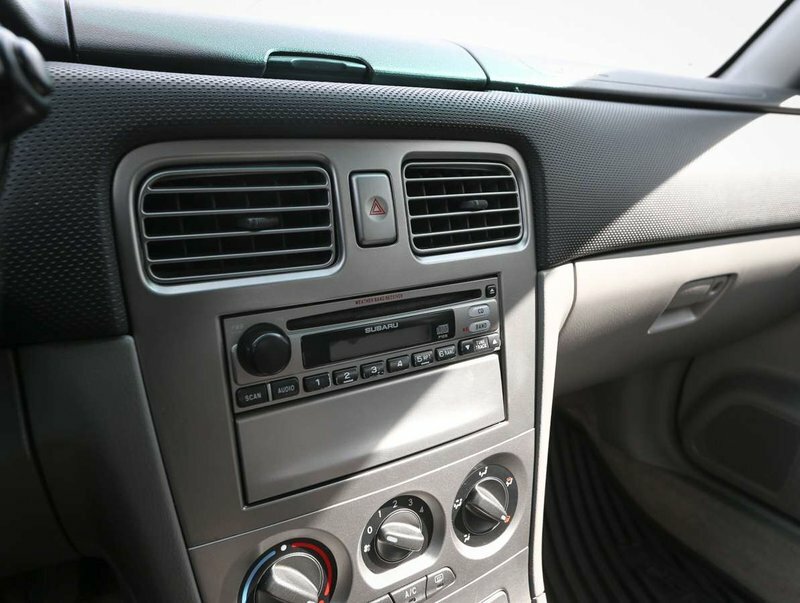 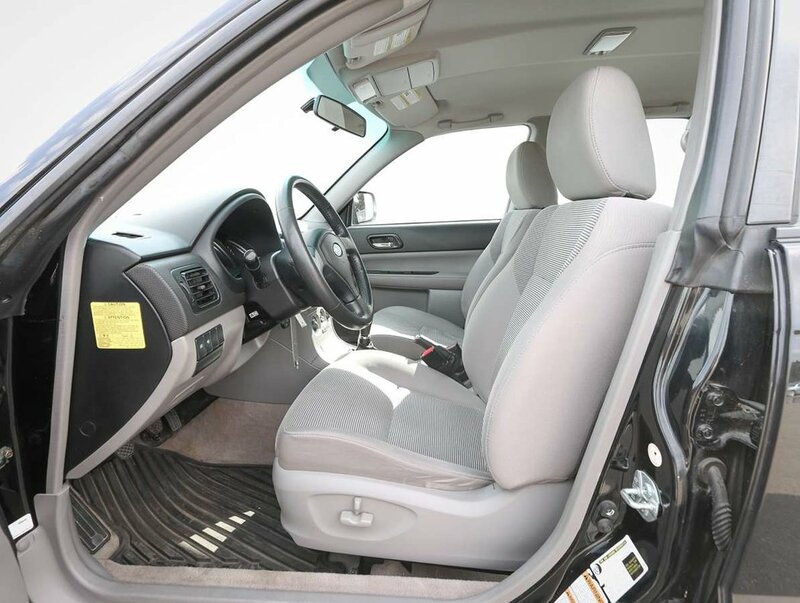 Just some of the features in the 06' XS model include power windows/locks/mirrors, AC, AM/FM/CD audio system, heated cloth front seats, all-weather mats, cargo cover and cargo tray, mud flaps, roof rails with cross bars, fog lights and more!